​The Big Small Show 2014 represents a sampling of recent, innovative works by ninety artists in the New Jersey/New York metropolitan area, and it is clearly expressive of the exciting level of energy and interaction that is happening among the artists included here, an indicator of the activity of our larger arts community as well. 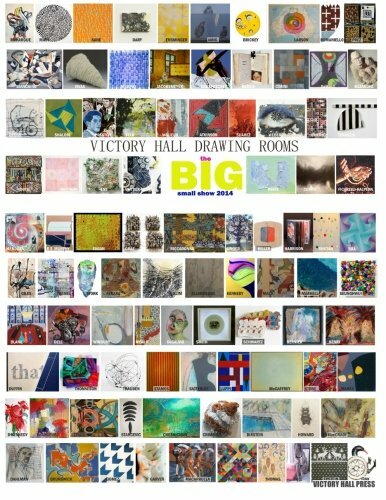 For all of us who have been developing Victory Hall DRAWING ROOMS as an art center since 2012 it also is a celebration, the harvest of our continual efforts to make a place for creative visual artists in Jersey City, believing that when the Arts flourish, the city will also flourish. Curator Anne Trauben has done an amazing job of tirelessly seeking out and gathering paintings, sculpture, drawings, artist-made books, and most importantly people who make art and people who support art from across both rivers and north to Connecticut.